With the days getting longer and the temperature rising, our thoughts turn to summer days at the beach, and cool drinks by the pool. And where better to do that than the Gold Cost! 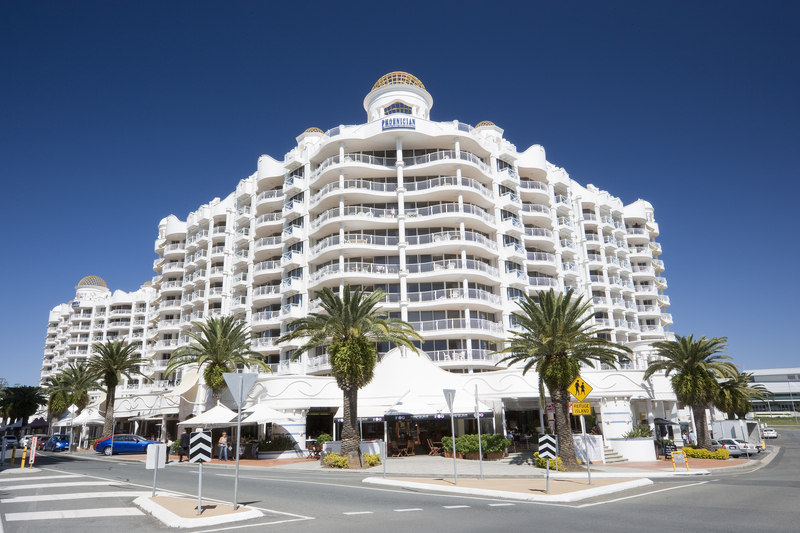 Australians and overseas visitors alike have always enjoyed holidays on the Gold Coast – indeed, Australians have been staying there since the 1950s. And despite the new apartment blocks with all mod cons, the massive shopping centres, restaurants and theme parks, there’s still that lovely feel of a seaside village. The Gold Coast sits near the bottom of Queensland, practically on the border with New South Wales, making it a keen favourite with visitors from both states. The Victorians love it too, especially in winter time! One of the Gold Coast’s biggest advantages – apart from 70km of stunning coastline, of course – is its easy accessibility. Whether you’re coming by road, rail or air, it’s so easy and quick. It’s also popular because you can generally snap up a great deal on accommodation all year round, even in the summer holidays. The weather is always gorgeous on the Gold Coast, and many visitors look forward to a winter getaway. And I’d say that’s one of the many reasons why so many tourists choose the Phoenician Resort at Broadbeach. It not only has some of the best accommodation deals on the Gold Coast, but it also has indoor and outdoor swimming pools for year-round enjoyment. The Phoenician is one of those resorts that just seems to have the lot! As well as outstanding resort facilities – including those pools, along with spas, sauna, gym, games room and barbecue spots – it also offers some of the best accommodation you’ll find anywhere. You would easily classify it as luxury accommodation, but it’s still affordable, thanks to those great deals. Choose from one and two-bedroom spacious, top quality apartments, all with air-conditioning, fully equipped kitchens, private balconies, beautiful bathrooms and spacious living areas. With the one-bedroom apartment able to sleep two extra on the sofa bed, and the two-bedroom apartment accommodating up to six, this represents one of the best accommodation deals on the Gold Coast. So peaceful and private, you’ll feel as if you’re a million miles away, yet everything you need is within walking distance, including amazing beachside cafes, gourmet restaurants, cocktail cars, even Jupiters Casino. So next time you’re looking for accommodation specials on the Gold Coast, there’s just one name to remember! Jump online at www.phoenician.com.au/specials and discover some really amazing savings. For example, if you book during the Early Bird Xmas Sale, you can secure a luxurious one-bedroom apartment for 3 nights, for just $405! And that takes some beating! If you fancy staying even longer, you can do that, too, with one-bedroom apartments available in the low season from $700 per week for one to two months, or $650 per week for two to three months. Now that’s a tempting offer!